Protect your bike from both water and sun with this Smarcy case. It is light while offering a high protection. 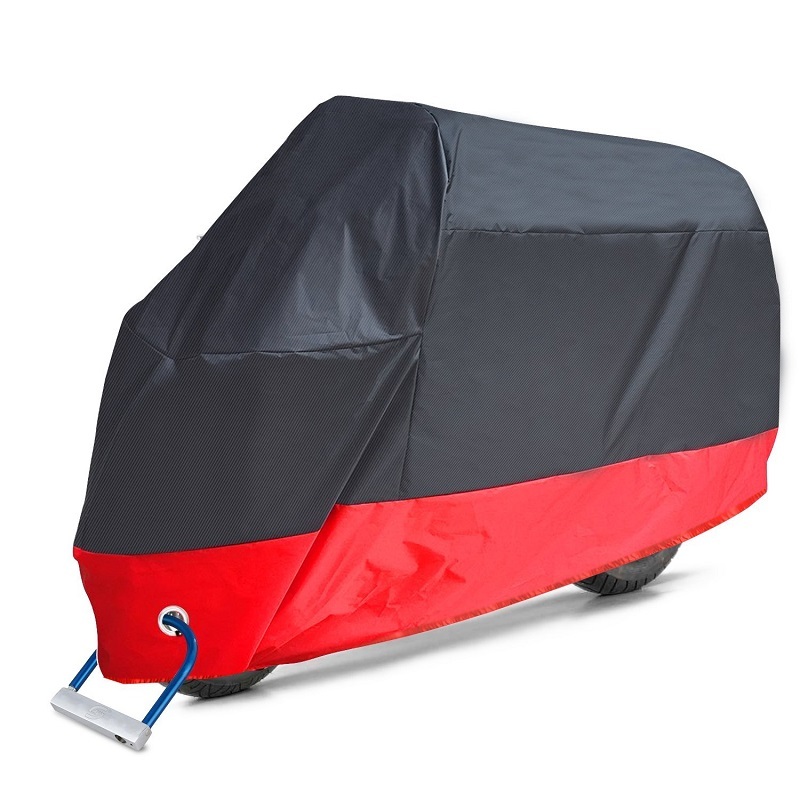 It is also adaptable to all types of motorcycle sizes, with three types of measurements: the XL, with dimensions of 245 x 105 x 125 cm; the XXL, with 265 x 105 x 125 cm, and the XXXL, with 295 x 110 x 140 cm. You also have three colors to choose from in all measurements. The safety of our vehicle is very important, so we must avoid theft with this type of motorcycle locks for the brake disc. It is resistant to corrosion and water, and opens with a key. It includes an alarm that sounds if someone tries to manipulate the padlock. This alarm is powered by a battery of 4-6 months of autonomy. Do not give up on the motorcycle if you have to move with children. You can take them with you guaranteeing their safety thanks to this added seat. 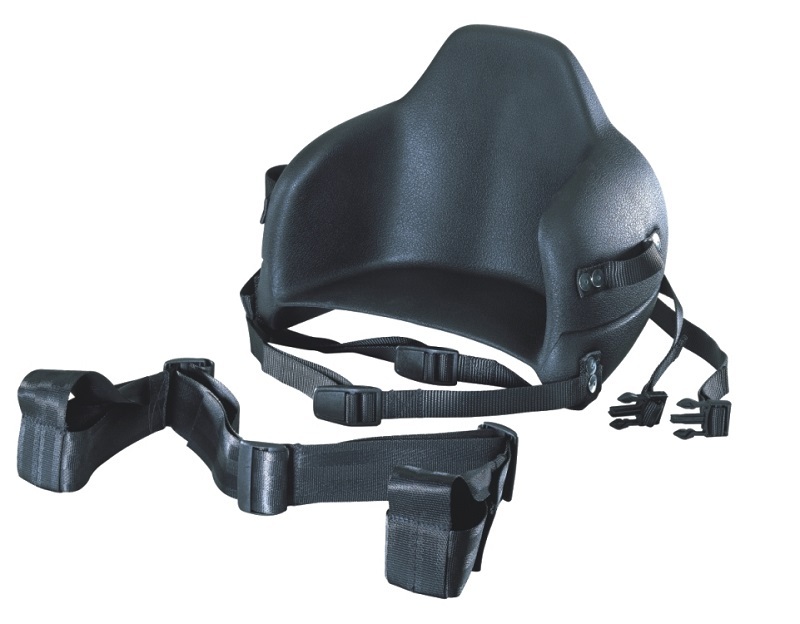 It is easily placed in the back seat of the vehicle, and protects your back and neck, while preventing it from falling. It has adjustable footrests, and serves for boys and girls between 5 and 8 years old. A long motorcycle ride can generate fatigue in the wrists. To prevent this annoying feeling, the wrist rest is an option of a very simple mechanism and placement, but of great benefits. It is placed on the throttle lever, so we can keep the speed constant during a long trip with greater comfort. This is another great motorcycle gear for riding protection and convenience. This tube contains everything you need to mount it on our bike in a simple and fast way. Made of aluminum and brass, it is resistant and it helps us to put in documentation related to the motorcycle, such as the parking permit, the sticker of the ITV or other proof that we need. Its length is 10 centimeters. 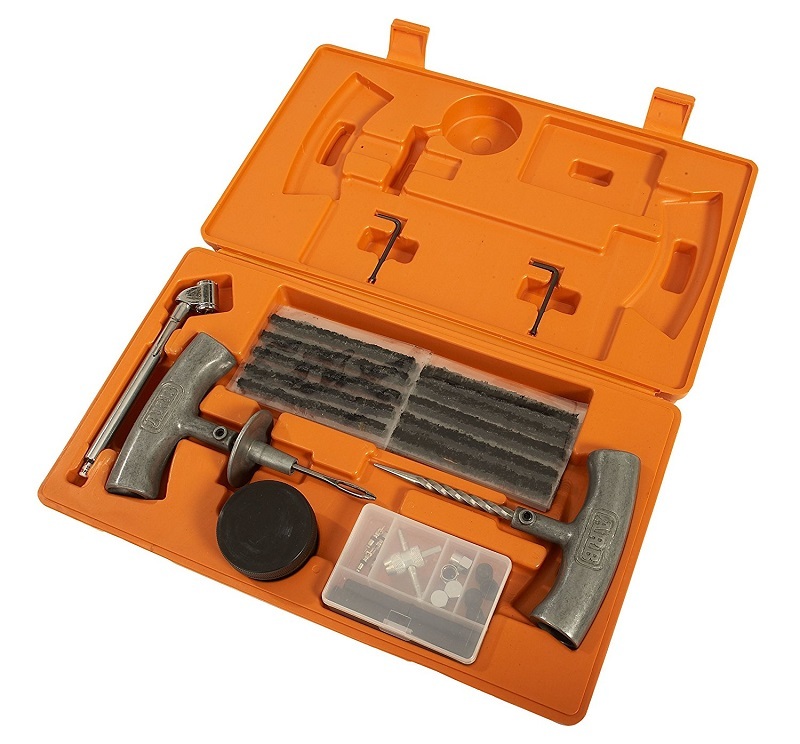 This tire repair kit will serve us for an emergency that goes through the puncture of a wheel of our motorcycle. Includes CO2 cylinder, valve fitting, hose, cutter, patch kit, sealing glue tube, and specific utensils. Support for mobile phones with a size of 6.2 inches maximum. It will serve to mark routes with the geolocation device and follow routes marked by a map application. Resists strong vibrations, and also has a waterproof case that will allow you to carry the phone even if it rains or there are other weather conditions that can damage the phone. The transparent plastic allows you to use the touchscreen functions of the mobile phone, and also includes a pocket to put the keys, money, etc. in. This simple net will allow us to carry objects and luggage up to 42×42 cm on the motorcycle. It is elastic, it is available in various colors and has 6 fastening hooks. A simple way to load with bulks our motorcycle. These reflective vinyl tapes are a decorative and security element. They allow our motorbike to be seen more easily at night, and we have 6 colors to choose from: red, yellow, green, blue, pink and orange. We put them on the rim, filling the entire circumference, with a very simple installation system and high resistance to rain. To transport small packages in the most comfortable way, this backpack for leg will allow you to go comfortably on the bike. It is waterproof and fits well in different sizes. It should be fastened at the waist and leg where we transport it, and we will have easy access to its contents.